You no longer need an invitation to buy an Echo Look, but should you? Alicia Silverstone's bubble-headed Cher, from the 1995 comedy Clueless, would go gonzo over Amazon’s hands-free camera, the Echo Look. She said in the film: “I don't rely on mirrors, so I always take Polaroids.” That girl knew a mirror distorts your image, but a picture—or, better yet, a video clip—gives you a pretty good idea of how your clothing looks to other people. 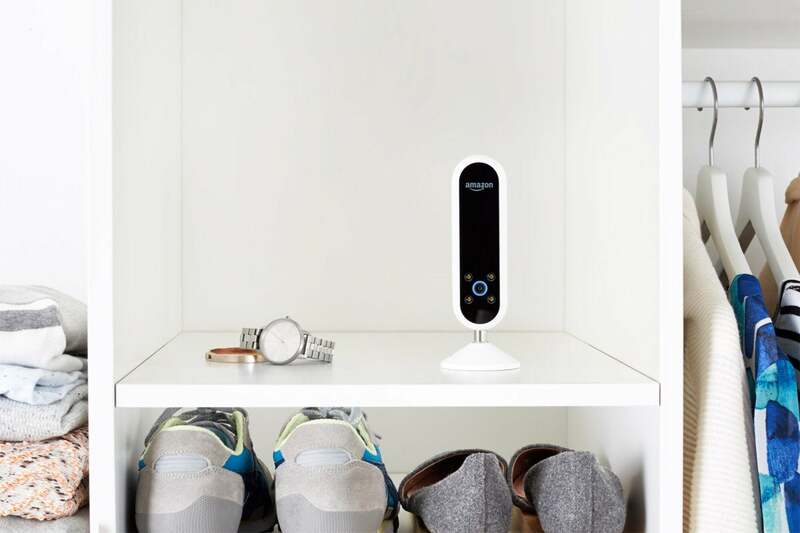 The Echo Look is a $200 voice-activated camera that snaps full-body photos and six-second video clips of your daily looks. It comes with a companion app that does two things: It tracks what you wear each day, and it uses that information to offer up fashion advice (including suggestions of complementary togs you can buy from Amazon). Announced in April 2017, but until recently available for purchase only by invitation, the Look is a significant departure from the rest of the Echo lineup. Other Echo devices focus on verbal interactions with Amazon’s digital assistant, Alexa, to control smart home devices, play music and news, make phone calls, retrieve information, and whatnot. The Echo Look can do some of those things, but it can’t make calls, it has a smaller microphone array than the least-expensive Echo (the Echo Dot), its weak 1.6-watt rear-firing speaker sounds only marginally better than a smartphone speaker, and it doesn’t support Bluetooth (so you can’t pair it with a better speaker). The Echo Look can rest on a shelf, or you can mount it on a tripod or on the wall. The Look doesn’t resemble anything else in the Echo family, either. It’s housed in a small, capsule-shaped enclosure with a flat black face. It comes with an adjustable base that you attach to its bottom, if you want to place it on a shelf or dresser, or you can use the threaded hole to attach it to a standard tripod. If you’d prefer to mount the Look to the wall (the required hardware is included), you attach the base to the back of the device, instead. The feature that sets the Echo Look apart from its stablemates is its 5-megapixel, depth-sensing camera, which is based on Intel’s RealSense technology. The camera’s lens is surrounded by four ultra-bright LEDs that provide perfect selfie-taking illumination. Amazon certainly got that detail right: The camera does an excellent job taking bright, crisp, detailed, full-body photos, even in extremely low-light conditions. I know this because I set up the Look in my home office, which is basically a cave where the primary light source is several 24-inch computer monitors. Even under those subpar conditions, the pictures it took were more than good enough to produce a visual catalog of my wardrobe. The Echo Look’s depth-sensing camera focuses on you and blurs out the rest of the scene before it. As awesome as the Echo Look's camera is, it’s worth remembering that it’s mounted in an always-listening device that’s connected to the internet and—by design—is meant to be ensconced in your bedroom. 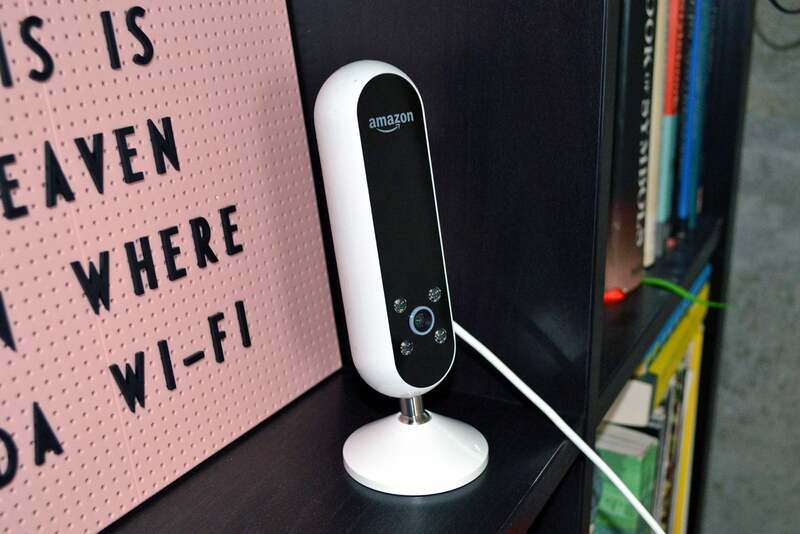 Amazon assures me they take privacy very seriously, and that the Look has the same privacy features as other Echo devices (including on-device wake-word processing), plus additional measures to indicate when it’s actively capturing photos and video. The Echo Look’s hardware is, of course, only half the package. The device comes with a companion app, which you'll need to download as part of the setup process. Setup is a breeze, by the way. Once you've figured out where to place your Look (the guide suggests shoulder height, so you might need to get creative if you don’t have a tripod), all you need to do is plug it in, open the app, and let the app walk you through signing into Alexa and connecting your Look to the internet. Open the app and you'll see a live preview of what the Echo Look sees. Once you're fully in the frame, you can use a voice command to direct the Look to take a picture ("Alexa, take a picture") or a six-second video ("Alexa, take a video"). You'll get a brief countdown, the LEDs will turn on, and the Look will do its thing. The Look uses its depth-sensing technology to blur out the non-you parts of the picture (I found this to be hit-or-miss, but you can adjust the effect in the app). After each picture, you can do some minor editing (brightness, contrast, saturation, and warmth), add some notes, mark it as a favorite, send the picture to a friend or upload it to social media, or delete it. You can't edit video clips, but you can do everything else with them. Your fashion choices should be appropriate for the situation, and that’s just not something the Echo Look’s Style Check feature can help you with. If you've ever been so frozen with indecisiveness about what to wear that you'd rather have an algorithm figure it out for you, good news: The app also doles out fashion advice. The Style Check feature uses a combination of machine-learning algorithms and advice from "fashion specialists" to determine which of two outfits looks objectively better on you. That's right: objectively better, using criteria such as color combination, shape, fit, and shoe choice. The problem is, those criteria aren't really all that objective, and I'm not convinced that an algorithm (even one with "fashion specialist" human help) is up to the task. In one of my style checks, the app thought my baggy, all-gray, all-sweats outfit was a "better combination of pieces" than an outfit that, well, did not consist entirely of 100-percent gray-sweatpant material. In another, it thought an all-black outfit where you could see my bra was a better choice than a pair of perfectly acceptable black leggings and a fitted gray hoodie. Should you buy an Echo Look? If you’re completely into fashion, and an internet-connected camera in your bedroom doesn’t give you the heebie-jeebies, a $200 fashion-focused selfie-cam is probably a good investment. The Echo Look is also great if all you really want to do is take pictures of your outfits. It's hands-free, easy to use, and it takes great pictures even in less-than-ideal lighting conditions. It's sure to be a step up from whatever makeshift selfie-stick setup you’re using now. But the Look’s Style Check feature just isn’t very useful. Not only is fashion subjective, it's also situational. The Look’s style check thought I looked great in a form-fitting Herve Leger dress, but I'm pretty sure my other outfit (black pants and a draped, asymmetrical top) would be the better choice for, say, a job interview.